Have you ever wondered how many items are in this folder or Structure Group and wanted an easy way to count them? In the good bad old days of IE6 and Tridion 5.x we could see the amount of items selected in the status bar at the bottom of our browser. Today I don’t know if they removed that feature or it’s disabled, but in Chrome and Firefox I don’t have a way to see how many items are in a Folder or Structure Group. I often want to know because I am writing Core Service scripts to process all items in a folder and it is helpful knowing how big it is. Otherwise, it is sometimes interesting to see how many images, templates, schemas, etc are located in the system and having a simple ‘count’ of the items would be helpful. Install: Drag the box above to your Bookmarks Toolbar. 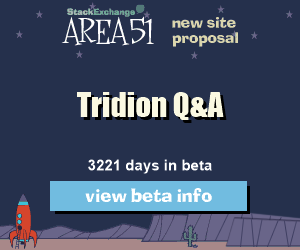 When the Tridion GUI is open, select the bookmark to see the item count. So this is my official entry into Dominic Cronin’s ‘Bookmarklet Challenge’. Although my Bookmarklet is simple, I believe it contains the essence of a Bookmarklet, something small and provide a useful value to those who use it. Special thanks to Alexander Orlov, aka UI Beardcore, for the much needed help in getting access to the Dashboard in a nice, clean way without hardcoding the array position of it. Before developing the Bookmarklet I had to consider what kind of feature to build with a Bookmarklet. The first thing to consider is the ‘context’ in which the Bookmarklet will be run. For example, when I have the Tridion GUI loaded, the context is what I can see in my view: Publications, dashboard items, and the ribbon menu bar. Another example could be the selected item, and this would then be our context and we could call WhereUsed, get Blueprint children, or access other private details of the selected item that are useful for our users. Finally, we can also perform actions with the Anguilla GUI, so if our context is a selected item, we could then do something to it. A previous Bookmarklet created by Dominic Cronin, with code from Alex Klock, and inspired by my Stack Overflow question, allowed us to clear the MessageCenter warnings and notices in the Dashboard. Recently Roel van Rozendaal wrapped up this functionality into a pretty Chrome Extension, added it to the Chrome Webstore, and made a nice blog post of how he did it. Only a few days left in Dom’s Bookmarklet Challenge. Good luck and may the browser be with you! Congratulations on getting this in, Robert! It worked a treat on our Tridion 2013 SP1 environment. For a while you could still see it in IE (8 or 9, not sure anymore), but now it’s gone from all browsers.